Winter made one last stop (maybe) in Kentucky. It was perfect timing, since I just finished another project! Although this is an old pattern of mine, this winter I have been making some different versions. Possibly I’m partial to this the Ravenclaw scarf, since I, myself, am a proud Ravenclaw! I made the original pattern a couple of years ago, when Cody and I were snowed in. It seems only perfect that this year I was to do the same, with my own Harry Potter house. This pattern is a little time consuming, but made with very simple stitches (chains, double crochet, and half double crochet). It’s a perfect pattern for a movie marathon. Out of fun, I also made a Slytherin scarf, so now all that’s left is a Hufflepuff scarf to complete my collection! 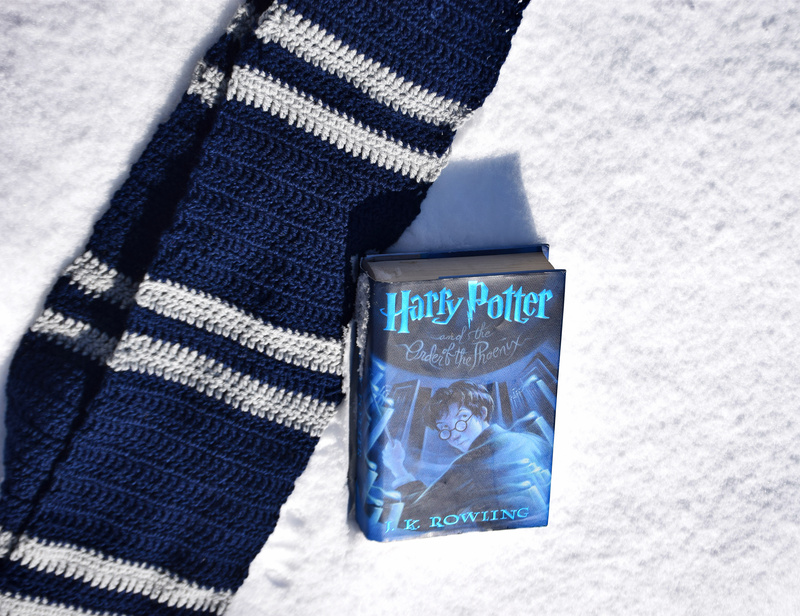 Click here for my free Harry Potter Scarf Pattern. Hopefully, this is the last time this season winter will hit Kentucky. This girl is ready for spring!